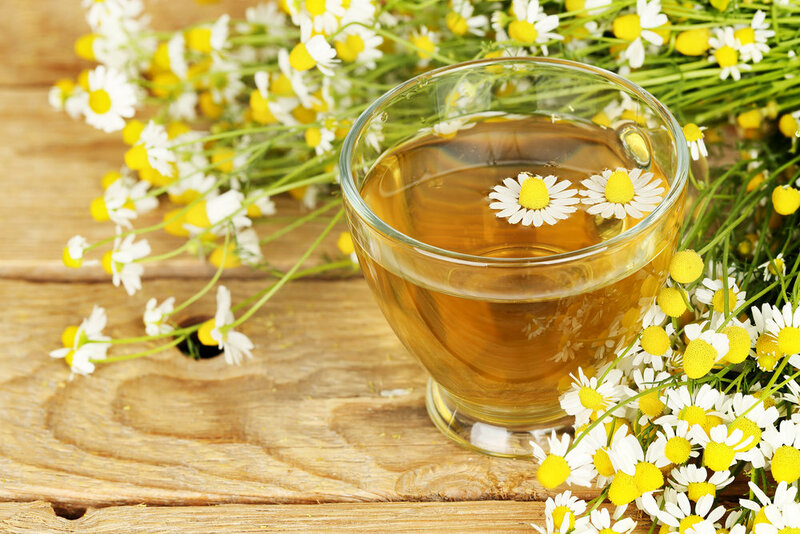 German chamomile flowers are commonly steeped into a calming chamomile tea. Infuse an organic oil and create lotions, lip balm and bath products. Enjoy its fragrant properties in potpourris and sachets. Or get creative and explore its culinary uses. Where do Chamomile Flowers come from? Egypt. Our 100% raw, whole German chamomile flowers cultivated in Egypt. Do you add anything to the Chamomile Flowers? No! 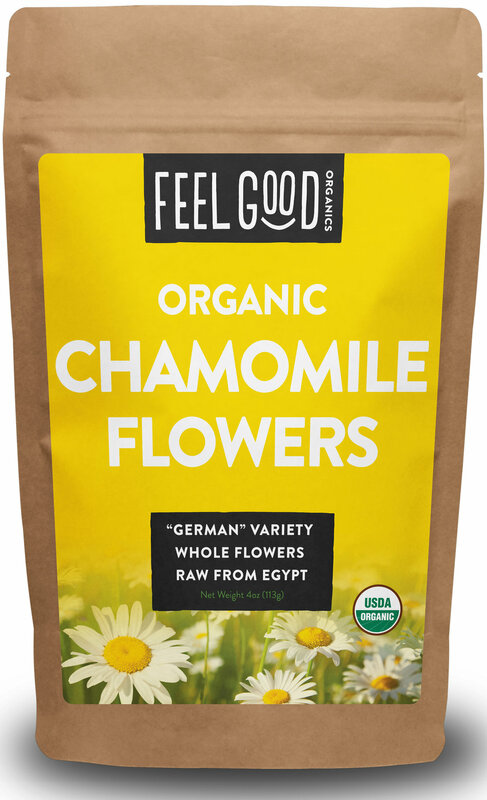 Our organic Chamomile Flowers are 100% raw with no additives. Are your Chamomile Flowers Non-GMO? Yes! Our Chamomile Flowers come packaged in the highest quality kraft bags. The bags are made with a resealable zipper, 5-layer structure with foil lining, rounded corners, and a tear notch for easy opening. How can I use Chamomile Flowers at home? Steep a hot tea. Add 2 tablespoons of chamomile flowers per cup of tea. Adjust to taste. Feel Good Organics products are sourced directly from nutrient dense origins around the world. We are committed to delivering the highest quality, certified organic products at fair prices to help you live healthy and feel good. If you are not 100% satisfied with your purchase for any reason, just email us and we'll refund your order in full - no questions asked! Enjoy our favorite recipes today! © 2017 FEEL GOOD ORGANICS.